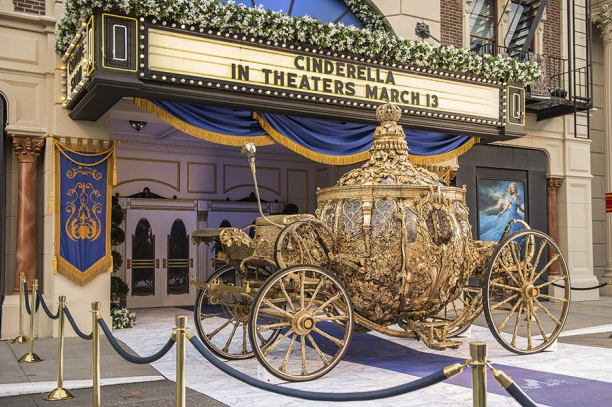 The exquisite golden carriage used in the production of Disney’s all-new, live-action “Cinderella” is on display at Disney’s Hollywood Studios! If you’re visiting the park between now and April 11, head down to the movie theater façade on Streets of America, where you’ll find the blue carpet rolled out for this special photo opportunity. It’s your chance to get a picture or snap a selfie with this stunning set piece from the upcoming film.